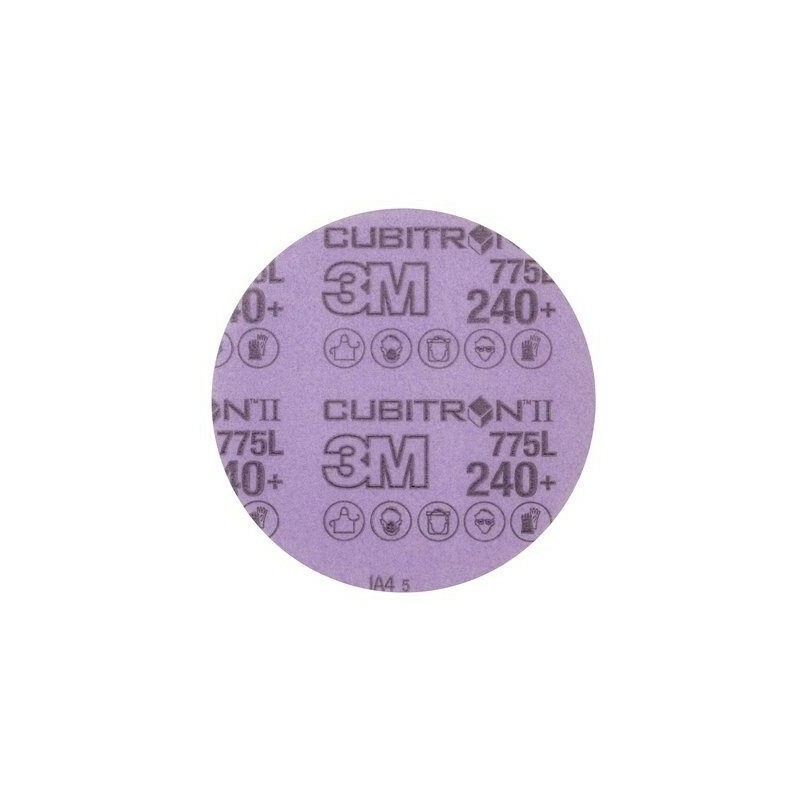 3M™ Cubitron™ II Hookit™ Clean Sanding Film Disc 775L cuts up to two times faster and lasts up to six times longer than conventional abrasives. 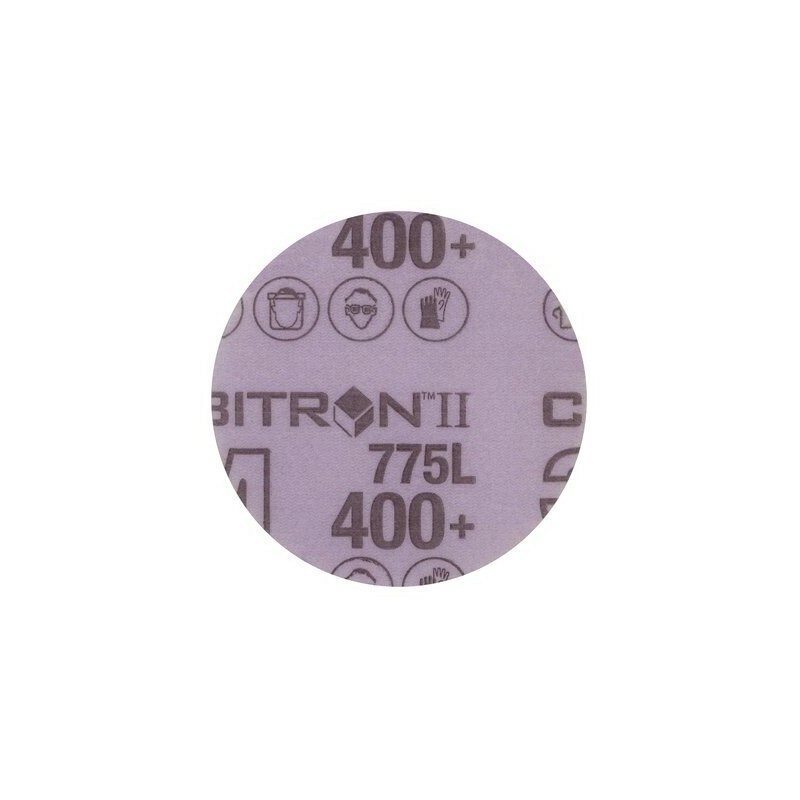 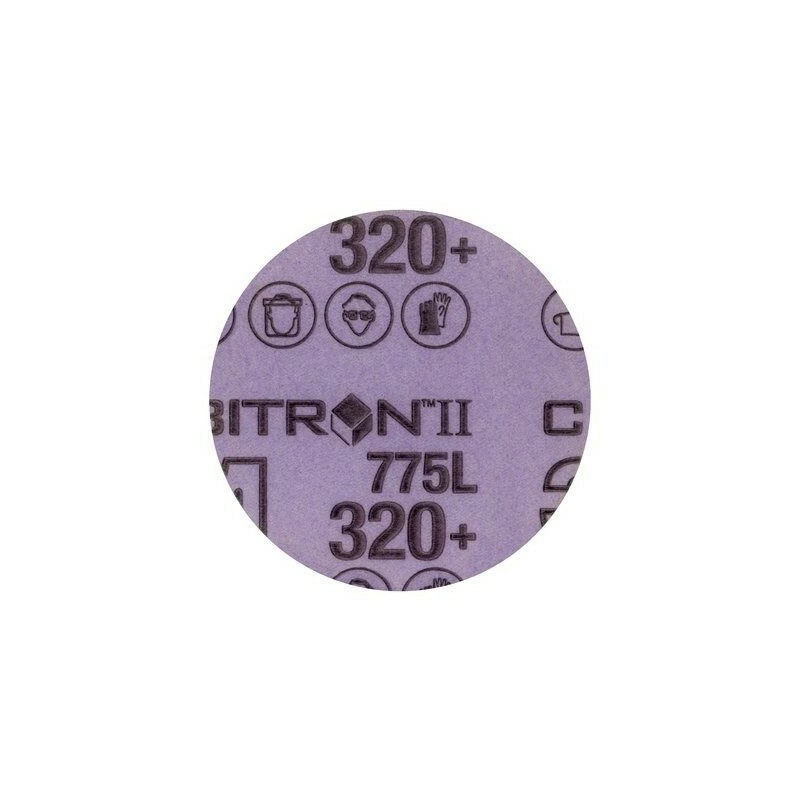 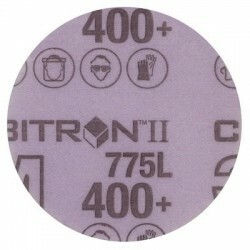 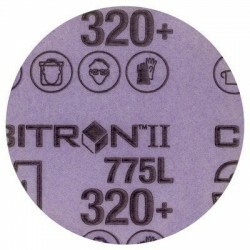 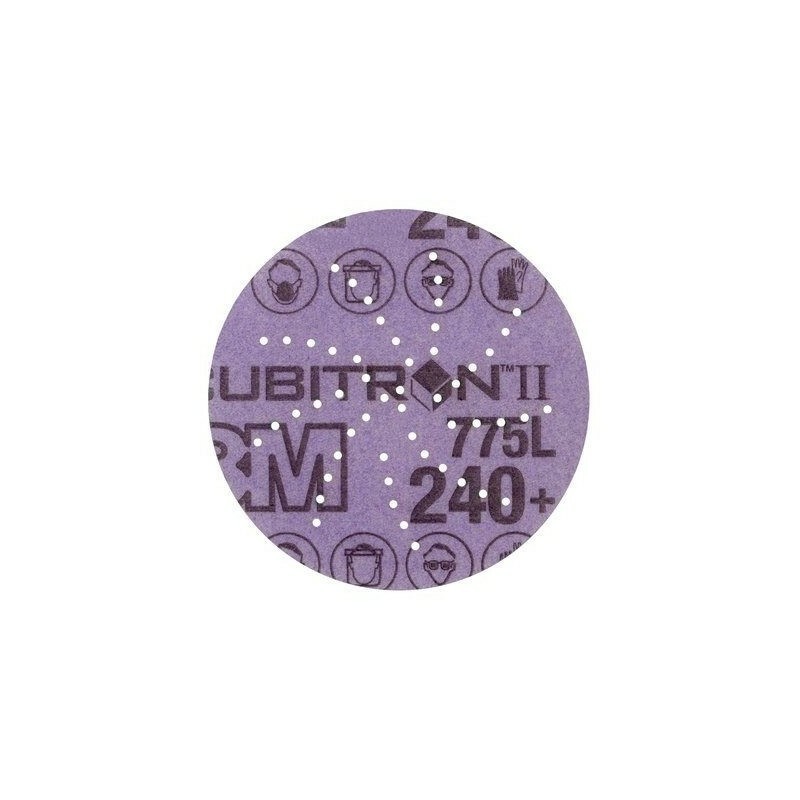 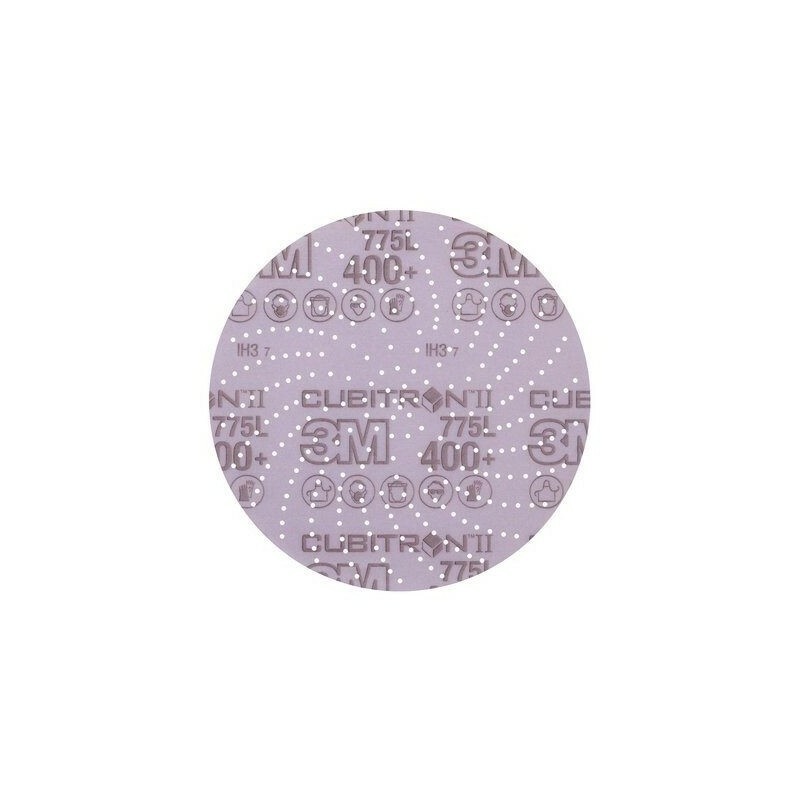 Our film discs are ideal for a broad range of applications focused primarily on stock removal and are effective on a wide variety of substrates. 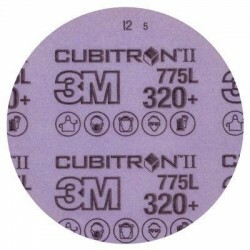 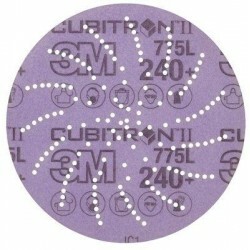 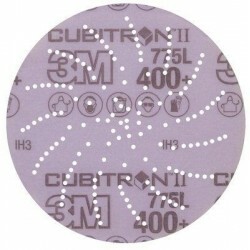 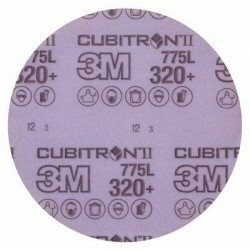 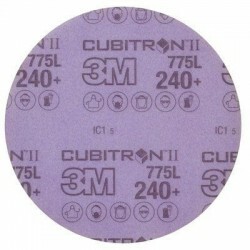 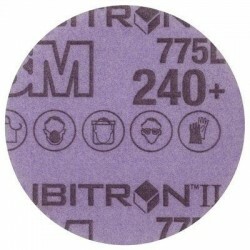 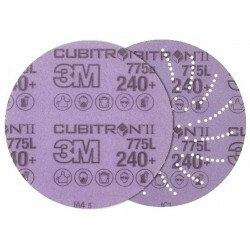 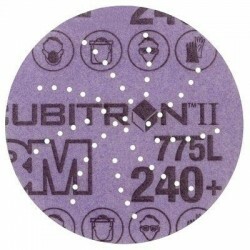 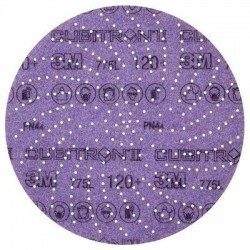 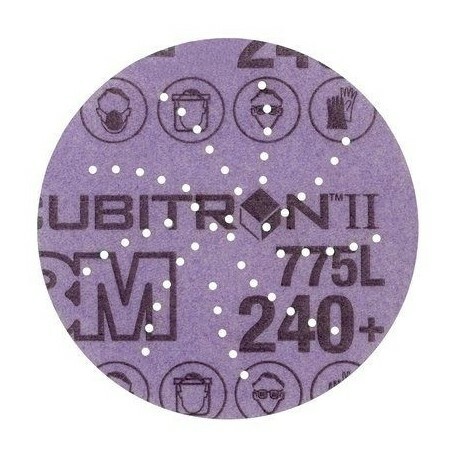 Use 3M™ Cubitron™ II Hookit™ Clean Sanding Film Disc 775L for better tear resistance than paper discs. Our discs cut up to two times faster and last up to six times longer than conventional abrasives. 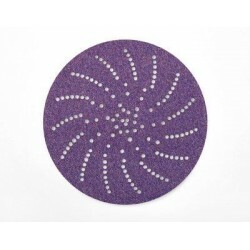 The multi-hole pattern on our Clean Sanding products evacuates dust at a higher rate than 5 or 6 hole products. Sandpaper discs cut better and last longer when dust isn’t loading the cutting surface of the abrasives. This design doesn’t require alignment of holes with the disc pad making disc changes fast and simple. 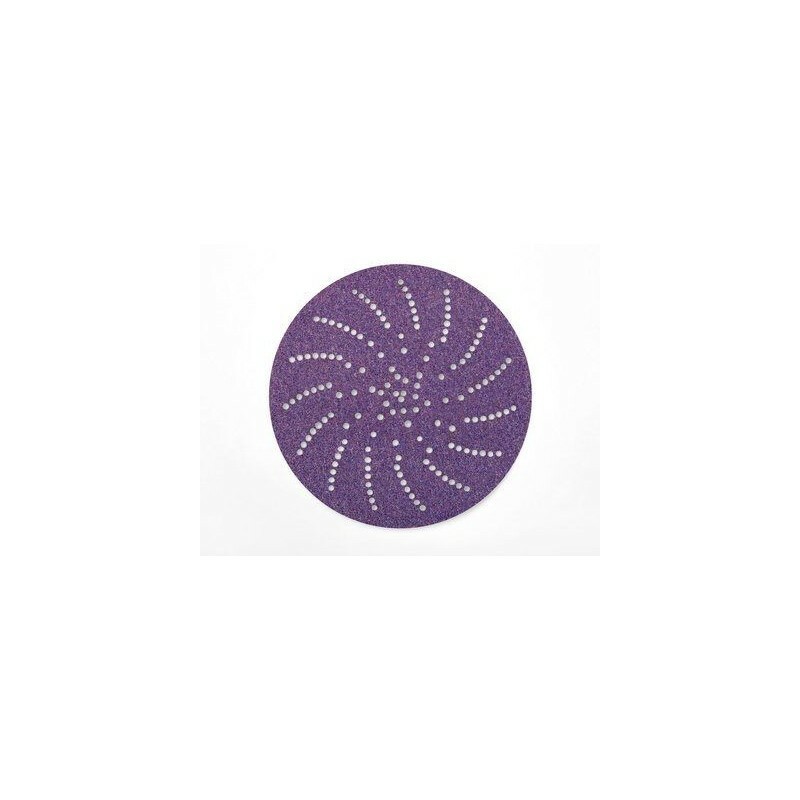 An open coat construction means the abrasive grains have space between them to help evacuate dust and other sanding debris. This helps avoid clogging the cutting edge of the grains. The load resistant coating allows the disc to continue cutting even when sanding softwoods, paints and other materials that would usually clog the disc, leading to reduced sanding ability. 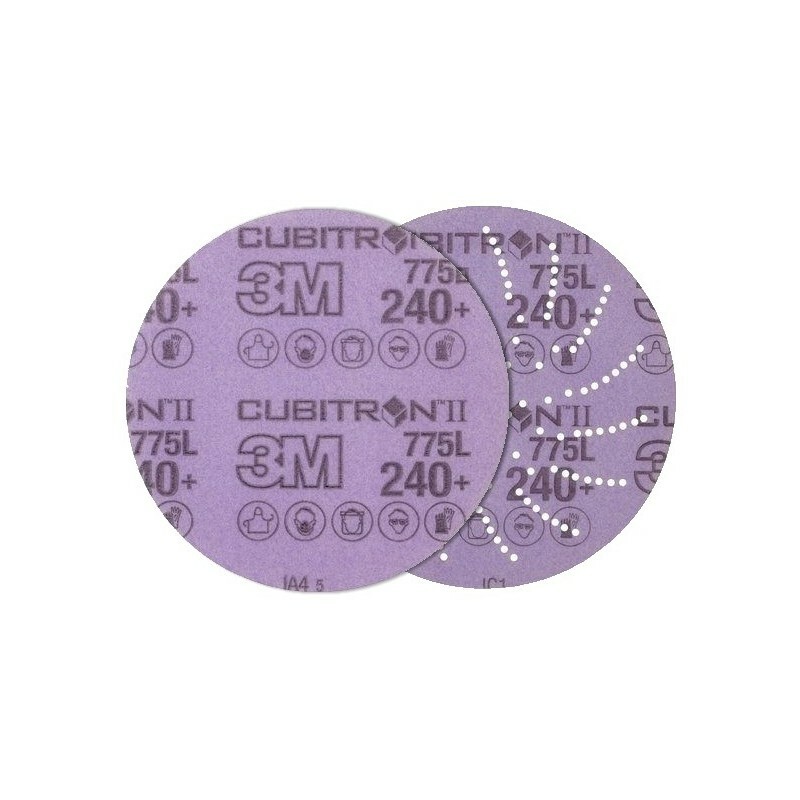 Our film discs feature 3M Precision Shaped Grain which forms into triangular points that slice through metal rather than gouging or ploughing like traditional abrasives. 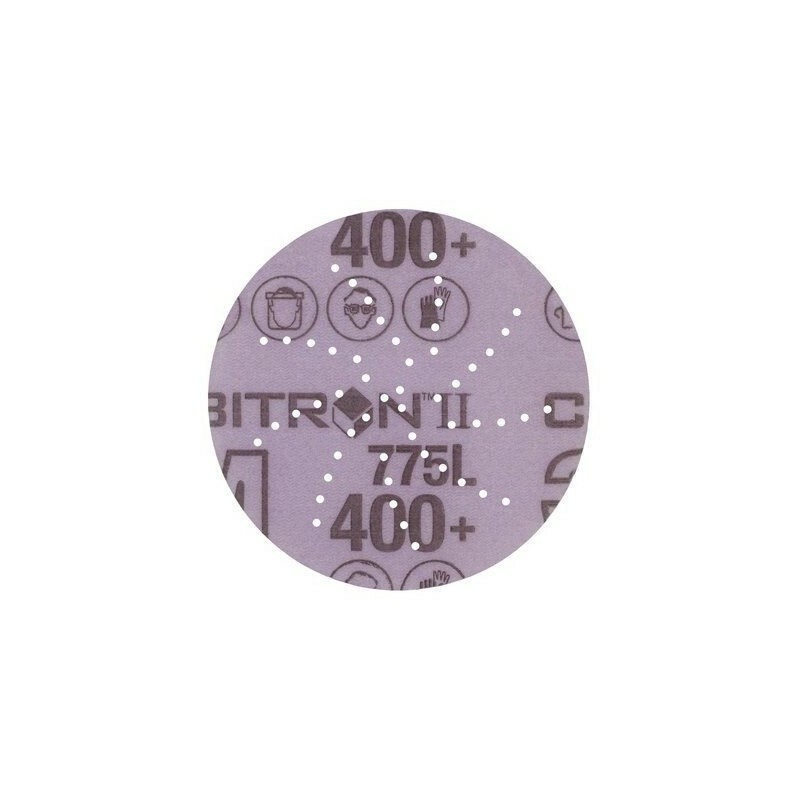 These points continuously self-sharpen as they fracture, generating an extremely fast cut. 3M offers a complete line of hook and loop style Hookit discs for work spaces where adhesive backed discs may become contaminated by dust or dirt. 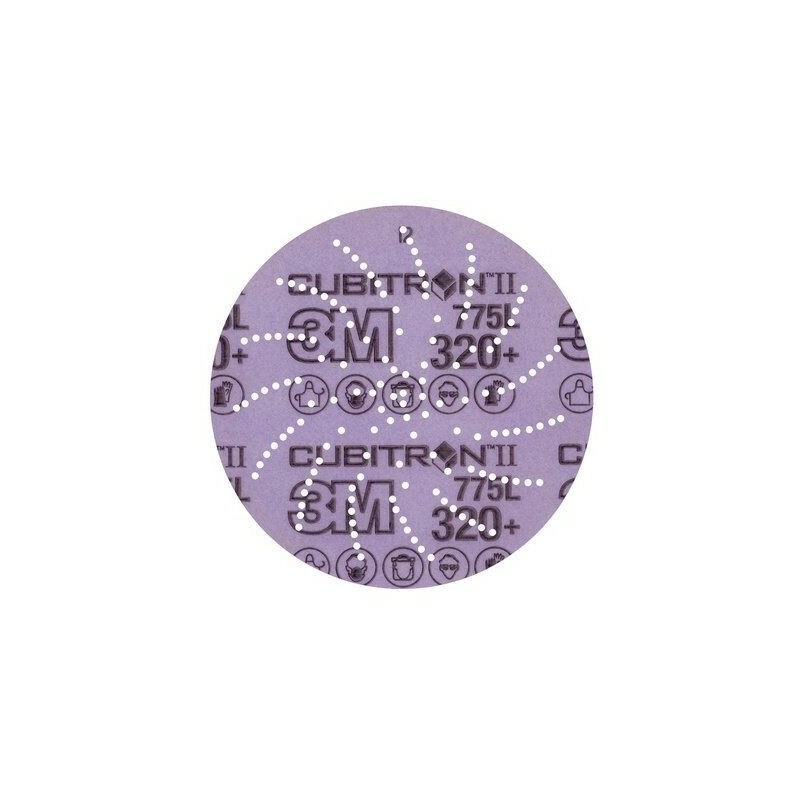 Hookit discs tend to leave finer finishes than adhesive backed discs, so are often used in applications where a 3M™ Stikit™ disc may be too aggressive. 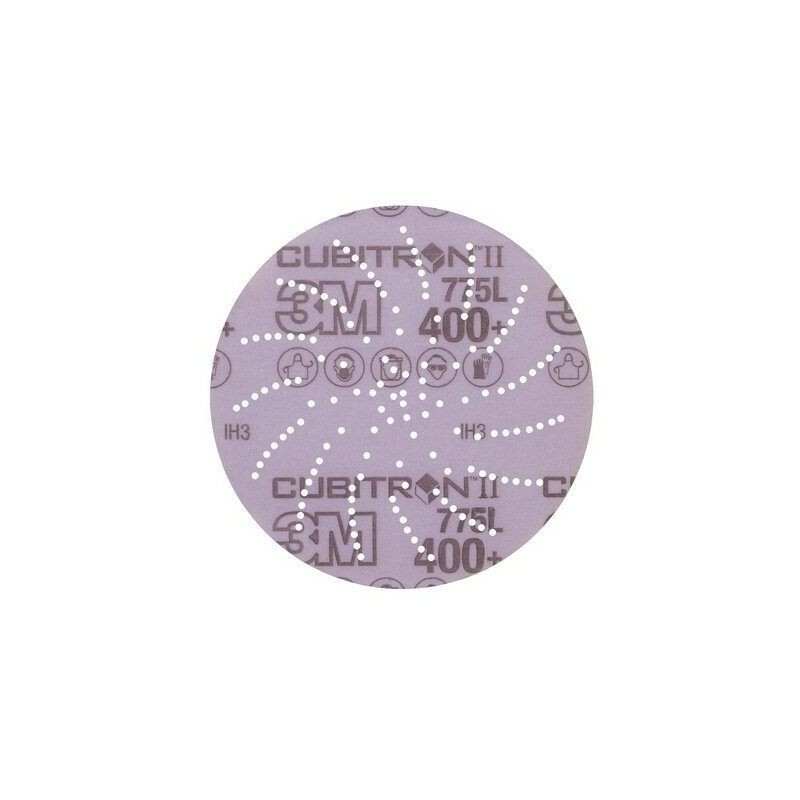 Our discs are ideal for a range of applications focused on stock removal and are effective on a wide variety of substrates – including metals, composites, gelcoat and whitewood. 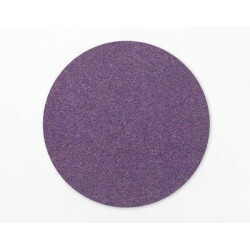 Hookit sanding discs conveniently attach to a hook-and-loop backup disc pad (sold separately). They can be easily removed and can be reused for the entire life of the abrasive. For maximum dust extraction use with 3M Elite Random Orbital Sanders and 3M Hookit Clean Sanding pads (both sold separately).